This is now a build, those will be shown on the individual spec pages. This is just to give you a clear idea of what’s coming. See below the image for talent descriptions. 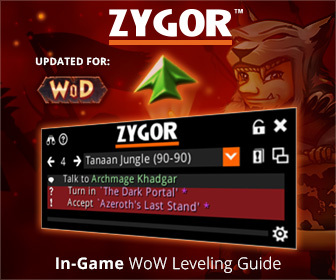 As mentioned above, you can swap talents just like glyphs. Don’t like one? Play with another. Casting Presence of Mind – Causes your next spell that has a cast time to be instant. Scorch zaps the enemy for some damage and can be cast while moving. Nice for fishing for Pyroblast procs. Ice Floes – Allows you to move while casting and channeling the next 2 Mage spells that have a base cast or channel time less than 4 sec. This spell may be cast while a cast time spell is in progress and is not on the global cooldown. Defense Temporal Shield – Envelops you briefly in a temporal shield and damage taken while shielded will be healed back over a few seconds. This spell is usable while stunned, frozen, incapacitated, feared or asleep. Blazing Speed – Suppresses movement slowing effects and increases your movement speed for 1 sec. May only be activated after taking a melee or spell hit greater than 2% of your total health, or after you kill an enemy that yields experience or honor. This spell may be cast while a cast time spell is in progress and is not on the global cooldown. Ice Barrier – Instantly shields you, absorbing some damage and lasting for 1 min. While the shield holds, spellcasting will not be delayed by damage. Level 45Control Ring of Frost – Summons a Ring of Frost at the target location. Enemies entering the ring will become frozen. 10 yd radius. Ice Ward – Places an Ice Ward on a friendly target. When an enemy strikes the target, all nearby enemies within will become frozen in place for a few seconds. Frostjaw – Silences and freezes the target in place for a few seconds. Lasts half as long versus Player targets. Yikes! Greater Invisibility – Instantly makes the caster invisible, reducing all threat, and removing two damage over time effects. While invisible, you are untargetable by enemies. Lasts 20 sec. Invisibility is cancelled if you perform any actions. Damage taken is grealty reduced while invisible and for 3 sec after coming out of invisibility. Cauterize – An attack which would otherwise kill you will instead bring you to 50% of your maximum health, and you will burn for 40% of your maximum health over the next 6 sec. Cold Snap – When activated, this spell finishes the cooldown of your Ice Block, Frost Nova, and Cone of Cold spells. Instantly restores 30% of your health. This spell is usable while stunned, frozen, incapacitated, feared or asleep, and is not on the global cooldown. Bombs Nether Tempest – Places a DoT on the target which deals Arcane damage over several sec. Each time Nether Tempest deals damage, an additional 50% of that damage is also dealt to a random target within 10 yards. Living Bomb – The target becomes a Living Bomb, taking Fire damage over several sec. When this effect ends, or the target dies, it explodes to deal additional Fire damage to up to 3 enemies within 10 yards. Frost Bomb – Places a Frost Bomb on the target. After a few seconds the bomb explodes Frost damage to the primary target, and also some Frost damage to all other targets within 10 yds. All affected targets are greatly slowed for a brief time. Evocation Invocation – Reduces the cooldown of Evocation to 10 sec, but you passively regenerate 50% less mana. Completing an Evocation causes you to deal increased spell damage for 40 sec. Rune of Power – Replaces Evocation. Places a Rune of Power on the ground for 1 min. While standing in your own Rune of Power, your mana regeneration is increased by 100% and your spell damage is increased by 15%. Only 2 Runes of Power can be placed at one time. Incanter’s Ward– Places a magical ward on you, absorbing damage for 8 sec. Absorbed damage will restore a portion of your maximum mana. When this effect ends, you gain increased spell damage for 15 sec, based on the absorption used.Also passively increases spell damage by 6% and increases mana regeneration by 65%. This effect is deactivated while Incanter’s Ward is on cooldown. These abilities are shared by all mages. Some of the old (Cataclysm) talents and glyphs have been rolled into these abilities, such as Improved Counterspell, at level 70. Other Mage abilities, glyphs, and talents are dead. Also note that the levels at which some abilities are obtained has been changed. Healing Touch should be rather nice in PvP and even in PvE, when aggro comes your way. Each spec of Mage (and the same with all other classes) gets several unique abilities as they level. 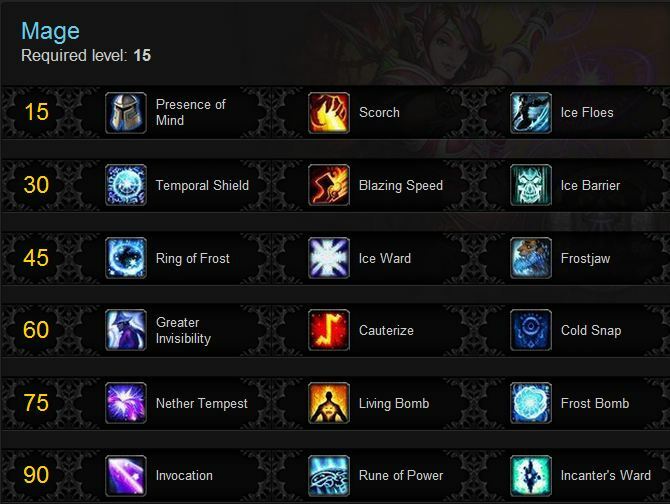 Frostfire bolt is the basic bolt, other attacks are for the individual specialties. At this time it looks like Fire will still value Crit, for the free Pyroblasts while the others will probably value Haste over Crit. But, we’ll see as time goes on. Create and spend arcane charges to build more power and to drive Arcane Barrage. And there was much burnination. Crit happy. Chance for free Pyroblasts. Lots of Dots. Chance for free spells, lots of freezing and slowing, more damage against frozen. Majors cover all damage, cooldown, and other spell effect modifications. Minor glyphs are now pretty much purely cosmetic, or teach minor stuff. Enchants require iLevel 372 items, so you will be able to enchant your better gear with the new stuff. Gems require iLevel 417, so you will not be able to put those yummy new M of P gems into your heroic raid/PvP gear. Here are the M of P gems, you’ll find these gems and the Cata gems on the individual mage pages. Spell Penetration is being changed into PvP Power. Burning Primal Diamond (MoP): +216 Int and Increased Crit damage. Again, Cata enchants are shown on the spec pages. Min iLevel for the M of P enchants is 372. Upgrade your nice gear as soon as you can afford to do so. Enchant Weapon – Jade Spirit (MoP): Sometimes increases Int by 1650, might increase Spirit by 750 if mana is low. 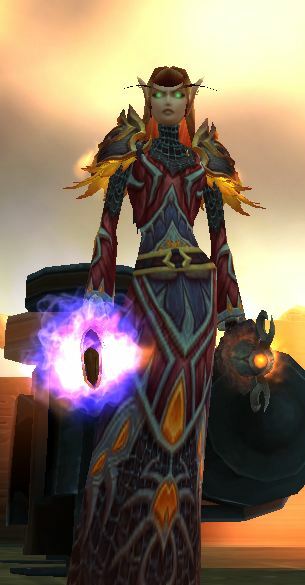 Secret Crane Wing Inscription (MoP:) – 520 Int and 100 Crit rating. Enchant Boots – Pandaren’s Step (MoP:) +140 Mastery, slight run speed increase. You’ll never need to look at your quest log again. 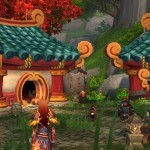 The Priest in Mists of Pandaria WoW free to play at some point?